ALS is a rare neurodegenerative disease, but ALS awareness made a big splash this summer. 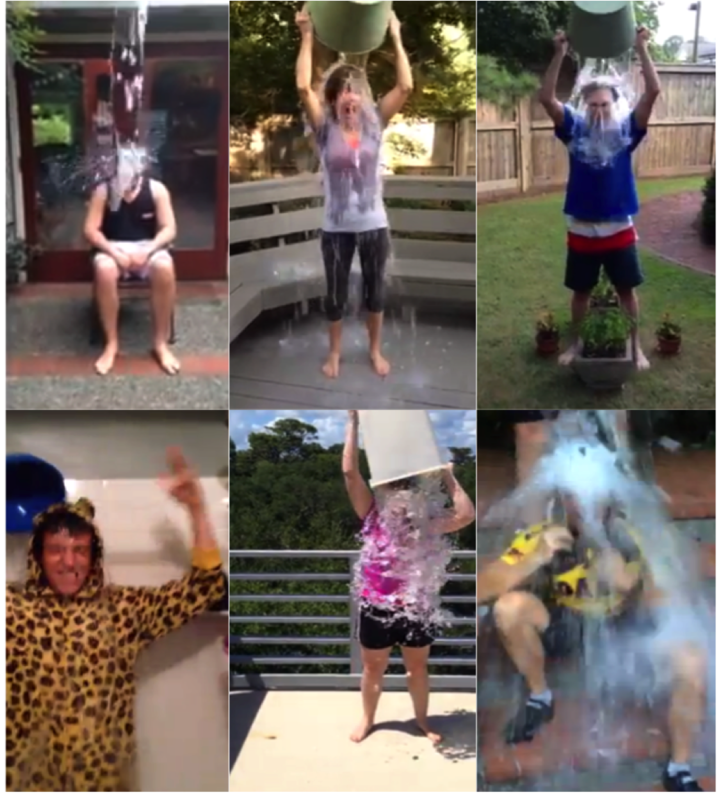 The ALS Association (ALSA) has brought in over $41 million since late July and the launch of the Ice Bucket Challenge. Time will tell what the popularity of the challenge means for future awareness and fundraising campaigns. In 2008, my grandfather died after a long struggle with Amyotrophic Lateral Sclerosis (ALS). His mind and spirit were vibrant until the end, while his body slowly succumbed to the disease. The symptoms of ALS are tragic, and though the diagnosis is rare, awareness of the disease made waves this summer. The light-hearted and hugely popular ALS Ice Bucket Challenge took social media by storm, posing questions for the future of public health awareness and fundraising campaigns. ALS is an incurable, progressive neurodegenerative disease that affects the nerve cells in the brain and the spinal cord that control voluntary muscle movement of the body. Over a number of years, patients’ voluntary muscles weaken to the point that they can no longer control them. This includes – and most often culminates in – the muscles involved in breathing. Most ALS patients die from respiratory complications within 3-5 years after diagnosis. ALS affects two in every 100,000 people. The disease affects men at a higher rate than women, and the average age of diagnosis is approximately 55. Within 90-95% of ALS cases are “sporadic” (SALS) with no known cause. Only 5-10% of cases of ALS are hereditary, or familial (FALS). Although the causes and cures for ALS remain elusive, research in the field has greatly increased in the last four decades. Though many clinical trials have failed to produce effective treatments for the disease, many more are currently underway. Someone dumps a bucket of ice water on his or her head, and then challenges a few friends or family members to do the same within 24 hours. Alternatively, those challenged can donate to the ALS Association (ALSA), which funds research of and treatment for the disease. Family and friends take the Ice Bucket Challenge. Most videos are under one minute in length and feature your favorite folks in bathtubs, on sidewalks or in backyards, squealing while dumping ice water over their heads. This simple gesture went viral in late July, with celebrities and public figures accepting the challenge – from Jack Black to former president George W. Bush. With each challenge, the chain continues. Many people have taken the icy dare, and many have also pledged monetary support. While the challenge and its takers have been criticized by some for taking part in a shallow stunt in order to avoid making a donation, the Ice Bucket Challenge has, in fact, become an unprecedentedly successful fundraiser. In a single month this summer, the ALSA brought in nearly $42 million, much of which came from 739,000 new donors. That’s more than twice the amount ($19.3 million) the organization raised in the entire year of 2012. The popularity of the Ice Bucket Challenge may provide insight into new avenues for public awareness of diseases in this era of digital connections and social networks. Combining fundraising with something shareable and fun, and mixing in the awareness of an obscure disease could prove to be a potent combination. It certainly had its intended effect this time around. Whether this was a one-hit wonder or silly trend of the summer remains to be seen. Though not one for fads, if my grandfather was still alive today, I think he would have gladly dumped a bucket of ice water over his head for ALS awareness. After all, his wife (my 85-year-old grandmother) just did. It’s not too late to take the plunge! For more about ALS, and to donate to the ALS Association, click here. Lara Goodrich Ezor is a second-year FPAN student and co-editor of the Sprout. To donate to her family’s Walk to Defeat ALS Team, “For the Love of Louie,” click here.